and tenants looking for their next home. 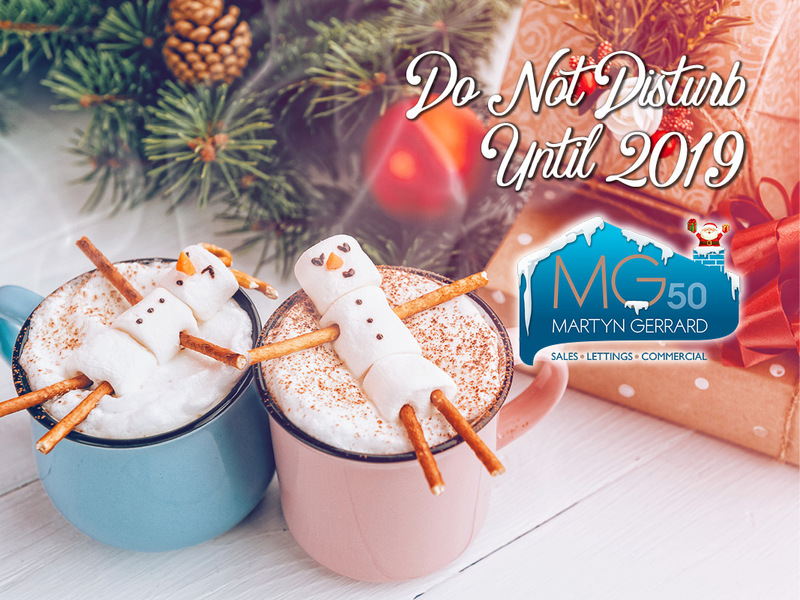 Waiting until 2019 means you miss the influx of new buyers and tenants that begin their property search online over the holidays. Call us NOW and get the ball rolling, let us prepare the marketing for your property including our unique True Video Tours and set it to go live on Boxing Day. We will look after all the enquiries leaving you to enjoy the festivities in peace whilst your property gains interest. Get ready to sell or let NOW... We won’t disturb you until 2019. Call your nearest branch NOW – we’ll be happy to talk through the process so you can enjoy Christmas and start the New Year knowing you haven’t missed out on a potential buyer or tenant.